Vitex developed a moisture barrier film used for OLED encapsulation called Vacuum Polymer Technology (VPT). The company says that their barrier is equivalent to glass in terms of water or oxygen penetration and can be applied to flexible substrates or over a finished display. Vitex has licensed its IP to several companies and in December 2008 said that Samsung, UDC, LG and other companies are all using VPT in OLED products and prototypes. In June 2006 we interviewed Vitex's sales & marketing director. In 2010, Vitex was acquired by Samsung Mobile Display. In September 2013, Veeco acquired Synos Technology for $185 million for the company's FAST-ALD flexible OLED encapsulation technology. Veeco later received a purchase order from SDC for a first-generation FAST-ALD prototype system. Veeco expected a manufacturing ramp to begin in 2014 - hoping to book more than $75 in ALD production systems by the end of the year, but this never happened. Veeco now reported their financial results for Q4 2014, and while the company says they "successfully demonstrated its FAST-ALD technology for flexible OLED encapsulation", they currently do not see any near-term revenue coming from this sector. 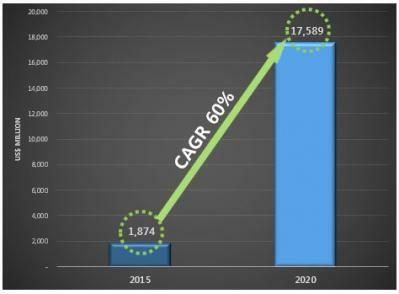 IDTechEx estimates that the barrier (encapsulation) layers for flexible electronics market will reach over $200 million by 2024. 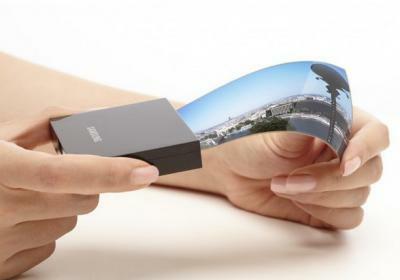 This will be driven mostly by flexible OLED displays for phones, tablets and wearables. Following is details regarding the different technologies adopted by Samsung, LG and others. 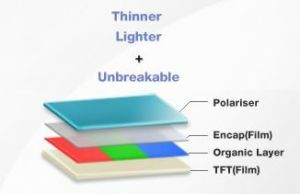 Samsung is using Vitex's multilayer thin-film encapsulation (TFE) using three layers (this is a new achievement, up until now they had to use at least 6 layers). While Samsung will still use this technology for its current and next-gen displays, Samsung is also considering other encapsulation deposition technologies, including Veeco's FAST-ALD and Universal Display's UniversalBarrier. UBI Research estimates that the flexible OLED market will generate $1.8 billion in revenues in 2015, and will grow quickly at a 60% annual growth rate (CAGR) to reach $17.6 billion by 2020. The primary application driving this grwoth will be tablet pcs. UBI also says that Samsung decided to change the encapsulation technology used in their upcoming A3 production line. In their current flexible OLED production, Samsung uses the old Vitex technology which is slow and expensive. According to a new report by Korea's ETNews, both Samsung Display and LG Display managed to achieve major breakthrough in their OLED production processes. These new achievements will raise the production yields of OLED TV and flexible OLEDs. So first up is LG Display, who applied a co-planar TFT with a top-gate structure that enabled the Oxide-TFT layer to become less vulnerable to the etching process. This results in better yields. This design has not yet been applied to the mass production lines. But in the upcoming M2 production line, LGD will use ALD technology instead of the current 2-partition deposition technology. This will reduce costs and improve process time. Universal Display participated in Cowen and Company's 42nd Annual Technology, Media & Telecom Conference. This was a very interested talk - and I recommend listening to it if you're an investor (or interested in investing) in UDC. Here I give some of the updates and highlights from that talk. In Q1 2014, UDC Introduced a new high performing red emitters for mobile applications. That red emitter is longer lasting, provide a better gamut and is also more efficient. UDC more or less confirmed that the GS5 uses these new materials and that's how Samsung managed to improve the efficiency by 25% compared to the GS4 display. Because these are new materials, SDC go back to the original prices (before accumulative volume discounts). In early 2012, Samsung said they aim to start mass production of plastic-based flexible OLEDs towards the end of 2012. But 2012 is almost over, and new reports suggest that Samsung delayed their plans to early 2013. But is Samsung really that close to mass production? 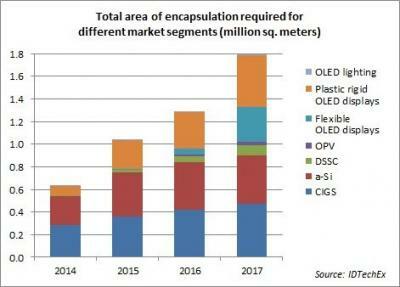 One of the major hurdles towards plastic based OLEDs is the encapsulation technology. Back in early 2012 Samsung said they will use Vitex' technology (which they bought in 2010) - but this technology is difficult to scale and is very slow. When Samsung delayed the launch to 2013, it was reported that the main issue indeed was the slow encapsulation (that, and low uniformity). Vitex Systems announced that their equipment licensees SNU Precision and Sunic Systems have received multiple orders for Barix thin-film OLED encapsulation equipment. SNU Precision got their first Barix TFE tool order in Taiwan, and Sunic Systems' order came from China. This is their 2nd chinese customer. Vitex say that by the middle of 2010, there will be 16 Barix TFE tools operational at customers (some customers have multiple sets of equipment). We know that Vitex customers/partners include Samsung, UDC and LG (In December 2008 Vitex has shown a video of several products and prototypes using their encapsulation technology. A video about Vitex, and the Pacific Northwest National Laboratory (PNNL) where it originated. Vitex's Vacuum Polymer Technology (VPT) creates a moisture barrier that is several orders of magnitude better than conventional inorganic barrier coatings.